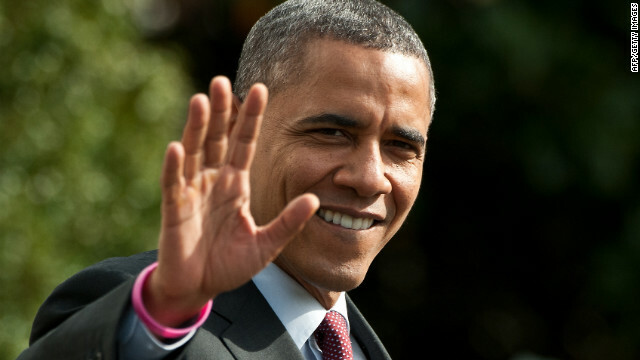 (CNN) - The New York Times on Saturday endorsed Barack Obama, citing the president's policies in health care, the economy, foreign affairs, civil rights and his choices of two Supreme Court justices among the reasons for support. Obama appointed Elena Kagan and Sonia Sotomayor to the Supreme Court during his first term. The editorial page, which has not backed a Republican for president since its endorsement of Dwight D. Eisenhower in 1956, levied blame on Congressional Republicans for erecting barriers to the president's policies, which the editorial says kept the country out of a second Great Depression. "Mr. Obama has impressive achievements despite the implacable wall of refusal erected by Congressional Republicans so intent on stopping him that they risked pushing the nation into depression, held its credit rating hostage, and hobbled economic recovery." The editorial also applauded the president's leadership in passing health care reform in 2010 that it says takes the country one step closer to universal health care coverage, the final piece in the "social contract." In addition to discussing the president's achievements at length, the editorial took aim at GOP challenger Mitt Romney, who "has gotten this far with a guile that allows him to say whatever he thinks an audience wants to hear." In its criticism, the editorial aligns Romney with the Republican Party, the policies of which it outright rejects, "including reckless budget cuts and 30-year-old, discredited trickle-down ideas." The editorial says electing a President Romney would roll back health care reform and invite a conservative Supreme Court appointment that could endanger voting rights, women's rights and marriage rights for gays and lesbians. In contrast, Obama, "would appoint justices and judges who understand that landmarks of equality like the Voting Rights Act must be defended against the steady attack from the right." The Times' endorsement of the president didn't go without noting the page's criticism of Obama during his first term, in particular his approach to governance. "We have criticized individual policy choices that Mr. Obama has made over the last four years, and have been impatient with his unwillingness to throw himself into the political fight." But the editorial says the president's recovery from his first debate performance assures them he is ready to govern again. "[H]e has shaken off the hesitancy that cost him the first debate, and he approaches the election clearly ready for the partisan battles that would follow his victory." It's great to see a well respected paper as New York Times behind a well respected president..Thanks for your support!! The newspaper of record stated many good and credible reasons why they chose to support President Obama. Wow, breaking news a liberal newspaper backs a liberal president. Real schocker with this endorsement. Is this really news? Geese, did you really think there was a chance the bow tied bum-kissers were going to break rank and support anyone other than the democrat candidate? And your endorsement means what? I think for myself thank you! Liberal Rag, Yeah thats a real surprise. Who cares what the NY Times says? They became irrelevant many years ago. Fair assessment supported by facts. Amazing is the amount of ignorance in America today people need to grow up really. We have a person running for president that until recently owned stocks in Chinese companies, ships American jobs off to foreign counties, has off shore bank accounts, Mitt Romney profited by at least $15.3 million from auto bailout. Will not release any more tax statements for fear that America will see the truth on what he is hiding. Romney urges business owners to tell their employees how to vote or risk losing their jobs. Wants to take America to more unfunded wars in Iran, Syria and continue to occupy Afghanistan so that his cronies can get rich while America becomes a true third world country. This guy failed as governor (38% approval rating) and people think he is qualified to run the country! The New York Times is spot-on correct. Romney's economic policies are completely ridiculous and risky. The math does not and cannot work without him killing Medicare, Social Security and raising taxes on the middle class. He is a pathological liar and gives us nothing but flip-flops, distortions, half-truths, and outright lies. Lyin' Ryan is no better. Thank you for yet another well appreciated endorsement. President Obama is the best president in my lifetime and he's also right for the times we live in now. It would be a tragedy to replace him with the frauds running against him and this country would be attacked, fighting more wars and set back another 50 years from which we would never recover. The NY times endorses Obama. Big surprise. The paper is so biased and one sided, that if Obama was captured on video placing kittens in a bag and tossing them into a river, the NYT would still support Obama due to what they would call is proactive focus on animal population controls. And Romney has Meatloaf !